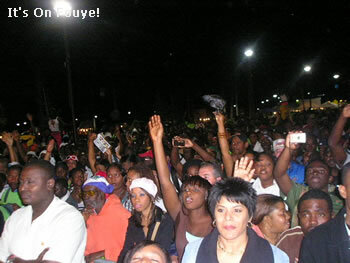 Rap Kreyol Group ROCKFAM in concert. ROCKFAM means The Rock Family also known as Rock Fam. ROCKFAM has 12 members. ROCKFAM was founded on November 18th, 2004. ROCKFAM Members: Kizzy, Jah B, Dug G, Pikan, Atros, Big Jim, Fatal, Gray Nouvo Ne, Killa Boss, Toppy X and Master Preacher.